Elizabeth J. 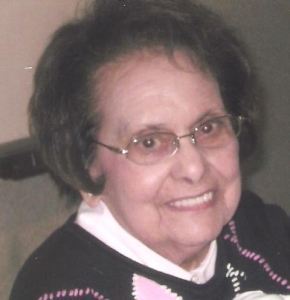 “Betty” Mattus, 89, of Wallingford passed away peacefully on September 19th at Crozer Keystone Hospice in Ridley Park. She was born in Chester as the last of 8 children of the late John and Nina Borgese. Betty graduated from Immaculate Heart Girls High School where she gained a strong faith and secretarial skills. In 1949 Betty married John Mattus and raised 5 children; Thomas (Rita) Mattus, John (Libby) Mattus, the late Martin (Lynn) Mattus, Mary (Mike) Rash, and Judy (Jeff) Cabanaw. Betty was a 3rd order Dominican Nun as well as a member of the Catholic Daughters of America, acting as treasurer and secretary for two decades. She was also a founding member of Our Lady of Charity Parish. Betty loved her 11 grandchildren and 4 great-grandchildren.